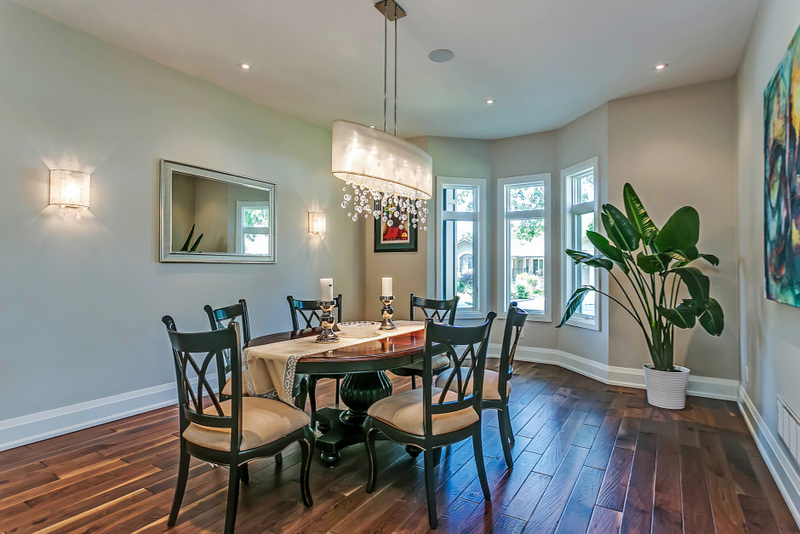 Exquisite custom home in West Oakville, built with the highest quality materials and exceptional attention to detail. This home offers 4 plus 1 bedrooms and 4.1 bathrooms with over 5,592 sqft of total finished living space. Situated on a lovely corner lot with mature trees, a flagstone walkway leads to a covered entry with 8’ door opening to a spacious foyer with heated marble tile flooring and two coat closets with automatic interior lighting. 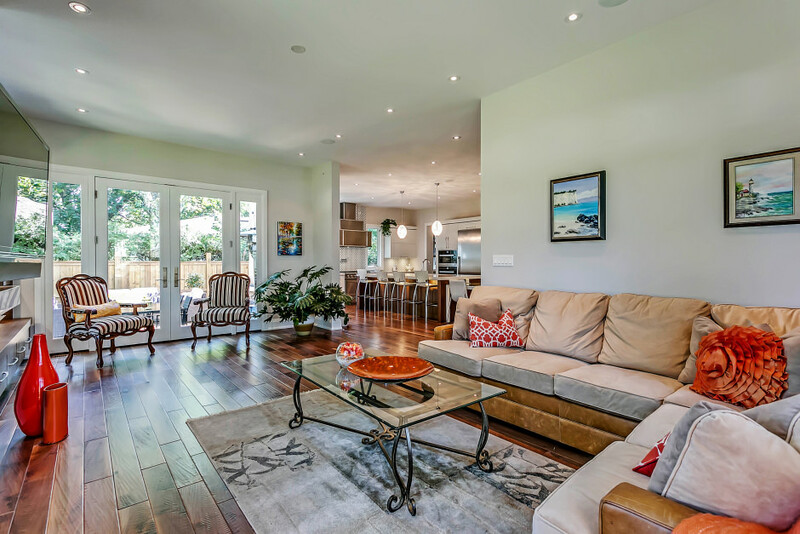 The open concept main level floor plan, with 10’ ceilings and built-in ceiling speakers, is an entertainer’s dream. The gourmet kitchen boasts custom soft-close cabinetry, chef grade appliances, and a conveniently tucked away servery. Under-cabinet lighting accentuates the quartz countertops and glass-tile backsplash. An oversized central island with bar seating and crystal pendent lighting overlooks the large formal dining room with bay window and central chandelier. These two main rooms flow effortlessly into the great room, flooded with natural light from panoramic windows and a double French door walk out to the deck and fully fenced rear yard. Hand scraped walnut hardwood flooring and a linear gas fireplace flanked by custom built-in walnut cabinetry warm the space. A walnut staircase with custom wrought iron railing leads to a true master retreat, with a linear gas fireplace with marble surround and charming Juliette balcony overlooking the rear yard. A dressing room is located opposite the luxurious five-piece ensuite, with heated marble tile flooring, floating double vanity, standalone soaker tub, and glass enclosed steam shower with body jets. Downstairs, the fully finished walk-up lower level is dressed to impress with heated flooring and ample additional living space including an expansive recreation/games room, exercise room, 5th bedroom, and full bathroom. From the smart security system to the impressive millwork, every detail in this home was hand picked and no convenience was overlooked. Unarguable perfection!